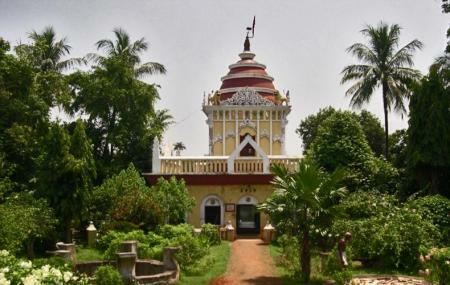 Situated in the Baripada city of Mayurbhanj district Odisha, India, the Jwalamukhi Temple is an auspicious Hindu temple in the state of Odisha, India. The temple is one of the 51 Shakti peeths of Goddess Shakti, which is devoted to the “Goddess of Light” or Goddess Jwalamukhi or the Flaming Mouth. The temple features a flaming a burning blue flame coming out of a rock chamber as a sign of the deity. The temple is the perfect place to devote your prayers to the almighty with your family and is open all days of the week with specific hours for kirtan. The temple overlooks a majestic pond and is a beautiful place to sit and rejuvenate your mind into meditation. What a place, peaceful.. The idol of goddesses is very beautiful. Very old temple. Design of the temple says it's history. Here goddess "JWALAMUKHI" is very powerful and loving. This place your mind cool.